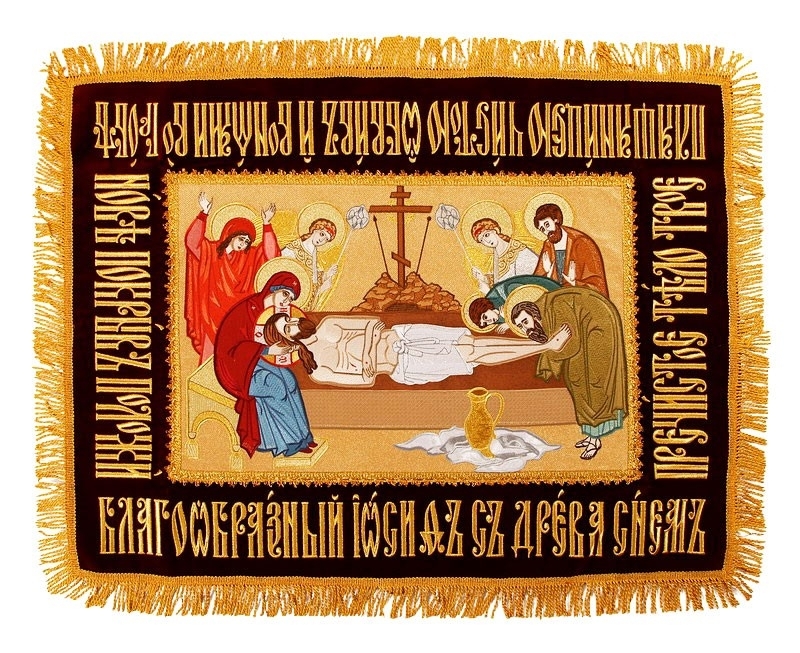 Epitaphios: Shroud of Christ - 16 - Istok Church Supplies Corp. 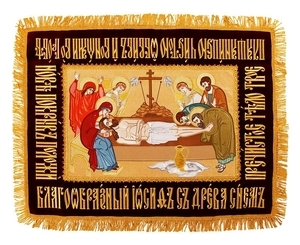 Traditional Orthodox Christian epitaphios (shroud) of Christ. Imprint, man-made silk. Central icon size: 17.7''x26.0'' (45x66 cm); overall size: 33.5''x43.3'' (85x110 cm).